When should you SELL or EXIT from your Mutual Fund Schemes? 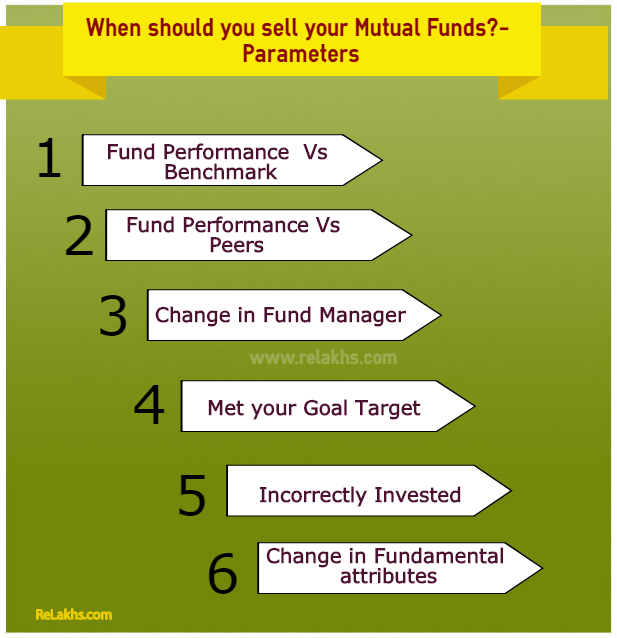 You are here: Home / Mutual Funds / When should you sell your Mutual Fund Schemes? 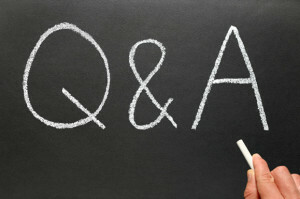 | When to exit a Mutual Fund? There are over 1,000’s of mutual fund schemes in India. However, there are few hundred’s of MFs where these are performing well compared to its peers. You would have invested in a mutual fund scheme either from expert recommendation or based on your own analysis. However, these might be under performing at various market cycles. You might be wondering whether you should sell your mutual fund schemes. We would provide some tips on various parameters on when you can take call and sell your mutual fund scheme. When is it the right time to sell your holdings in mutual fund schemes? Who can check these parameters? If you would have invested in mutual funds few months back and thinking that your mutual fund scheme has not been performing well, then this article is not for you. You need to have patience while investing in mutual fund schemes. Mutual funds (Equity Schemes) should be invested for medium to long term of 5-10+ years. If you would have invested for over 2-3 years, you can check these parameters which would prove some statistics whether MF has under performed due to stock market volatility or whether it is due to under performance of your mutual fund scheme. Now let us jump into parameters on when you should sell your MF or exit from your mutual fund schemes (primarily Equity MF Schemes). When you are evaluating your fund, compare mutual fund performance with benchmarks. If your mutual fund has under performed compared to its benchmark in the last 1-2 years, it is time for you to review your mutual fund scheme. For Example : A) if your MF has given 12% annualized returns in the last 1-2 years, however, benchmark performance is over 15%, it is time to review your fund. B) If your mutual fund showing negative returns in the last 1 year, however, benchmark is positive, it is clear indication that your mutual fund scheme is under performer. Let me explain with an example. Essel Large Cap Equity Fund has given 6% negative returns in the last 1 year and 11% negative returns in the last 3 months. However, its benchmark NIFTY 50 total return has given 3% returns in the last 1 year and 8% negative in the last 3 months. This is an indication to review your fund. The JM Large Cap Fund has given 12% annualized returns in the last 10 years. While many mutual fund experts say 12% to 15% annualized returns are good, just compare them with its benchmark that gave 16% annualized returns. Any of its peers gave 16% to 20% annualized returns. In such case, though this fund delivered 12% annualized, it’s time to review and exit from such funds as it is under performing compared to benchmark as well as its peers. Other parameter is to check how well your fund is performing in bear markets. There are various good tools to assess this. One is valueresearchonline where you can select the fund and click performance tab. You would see when a such fund was best performed and worst performer. This is where you take a call whether to continue or exit. If there is any change in fund manager of your mutual fund scheme, it is time to review your fund. You need to check whether your fund manager has adequate experience in managing mutual fund scheme earlier. If not, it is time for you to rethink of continuing in such mutual fund scheme. Every human being would make mistakes. 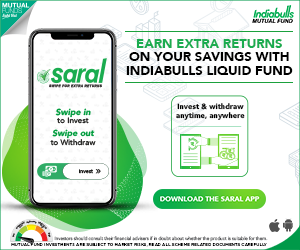 As an investor, if you would have made mistake in investing in wrong mutual fund schemes that does not meet your risk appetite, it is time for you to exit from your mutual fund scheme. E.g. You might be moderate to low risk taker, however invested in midcap/small cap funds. These funds are only for high risk investor. In such case, without thinking, you should exit from such funds and invest in funds that meets your risk appetite. Fundamental attributes of a Mutual fund scheme are the structure, investment objective investment pattern, etc. A merger of the mutual fund scheme with another scheme (or) of the AMC with another one can lead to such changes. If the changes are not in line with your investment objective, you may get rid of the investment. For example : After the implementation of the recent SEBI re-categorization rules, some of the Schemes’ fundamental attributes have got changed. Last point is where your financial goal is reached or nearer to reach your goal, irrespective of fund performance, you can exit from your mutual fund scheme keeping some buffer. E.g. if you have been accumulating money in mutual funds for your daughter’s marriage, don’t wait till the last minute. Take a call 6 months to 1 year before, irrespective of the fund performance. The other possible reason / situation can when your portfolio needs a re-balancing. For example, the portfolio could become stock heavy during a bull run in the stock market. In such a scenario, it is imperative to book profits and allocate the money to other asset classes to achieve your original allocation plan. Concluding remarks: These are some of the parameters that can be considered as a starting point for you to take decision about selling your mutual funds. Based on this you can review and take a call to sell your mutual fund schemes. This is a guest post from Suresh KP who is the founder of Myinvestmentideas.com, a blog that provides analysis about various investment options including mutual funds, IPOs, Stocks, NCDs etc., He can be reached at [email protected] for any clarifications. What is 200 Day Moving Average? | How to track DMAs? How to use them in Mutual Fund investment decisions? 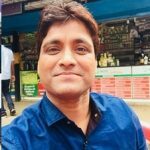 Kindly note that ReLakhs.com is not associated with myinvestmentideas.com. This is a guest post and NOT a sponsored one. We have not received any monetary benefit for publishing this article. The content of this post is intended for general information / educational purposes only. Myinvestmentideas.com has been featured in one of our articles. Suresh KP have written 1250+ articles on his Blog, myinvestmentideas.com. He loves doing analysis on various Best Investment Plans like mutual funds, Stocks, IPO’s, NCD Bonds, Insurance products. Nice blog .I could not calculate benchmark,peers parameters pls explain .